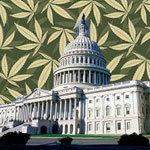 10 May 2012: President Obama’s trip to Colombia in April 2012 threw a spotlight on America’s drug policy. The presidents of Colombia, Mexico, and Guatemala - countries that have seen limited returns for their inordinate sacrifices of human lives and financial resources to control the supply of illegal drugs - publicly chastised the United States for failing to curb its demand for drugs. The international focus on American drug policy has resurrected a debate within the US about the legalization of drugs, especially marijuana and how it may affect urban areas. This is not enough for the presidents of Colombia, Mexico, and Guatemala, centers of the most sophisticated and violent operations for trafficking illegal drugs to the US. They want to see the demand for drugs reduced at a more fundamental level and at a much faster pace. They also want the huge profits stripped from drug transactions. The debate about drugs is complex, involving domestic policy, foreign policy, and the law. Curiously, cities are rarely mentioned, though they would be profoundly affected by major changes to drug policies, and few mayors have voiced opinions about whether or not marijuana and other drugs should be legalized. 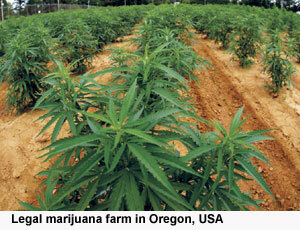 Marijuana has been illegal at the federal level in the US since 1937. 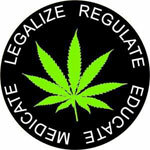 However, 16 states and Washington DC have legalized marijuana for medical purposes, beginning with California in 1996 and continuing to Delaware in 2011. Several other states currently are considering medical marijuana legislation. According to the US Department of Health and Human Services, the number of medical marijuana users grew from zero in 1995 to 17.4 million in 2010, the most recent year for which complete data are available. The pace of growth accelerated each year, reaching 6 percent in 2010. The rules for possessing medical marijuana vary in each state where it is legal. Generally, patients must have a doctor’s prescription and a license from the state to purchase a maximum quantity of marijuana from a state-licensed dispensary. Patients may also grow small quantities at home. Communities can ban dispensaries; most, however, regulate their placement and operating standards through zoning ordinances and permitting processes. A $10 billion industry has developed to serve the medical needs of patients, and clashes with the federal government are not uncommon. Although the Obama administration has signaled that it will not interfere with medical marijuana operations that comply with state laws, the federal government has closed dispensaries that it claims are more interested in generating huge profits for themselves than meeting the needs of ill patients. And disputes about transferring medical marijuana licenses between states, determining who has legal standing to sue a dispensary, and other issues have had to be decided in federal courts. These is no clear evidence that marijuana use is or isn’t a step on the path towards the use of addictive drugs such as heroin or cocaine, and so the debate over the health risks and benefits of a general legalization of marijuana will continue. The financial costs, of course, are also at the heart of the debate. Implicit in calls for reducing the demand for drugs in the US, is the premise that legalization of marijuana would sap the power and profits of foreign drug cartels and high-level domestic dealers, leading to less violence. Besides saving on public safety, federal, state, and local governments in the US could profit directly from legalized marijuana. The State of California could generate as much as two billion dollars per year through licenses issued to farmers, distributors, and stores to sell marijuana to the legal-age public, according to an estimate prepared by proponents of legalization. Voters in the State of Washington will vote this autumn on a measure to legalize marijuana, with the prospect of generating over $600 million in new annual state revenues. Ironically, the legislation is opposed by the state’s medical marijuana industry, which regards a general legalization as a competitive threat. The industry helped defeat similar legislation in California in 2010. Overshadowed in the debate over fundamental changes to drug policies are cities. Will the sale of marijuana in controlled locations put an end to the street sales and open air drug markets that plague inner cities? The controlled sales of marijuana will deprive urban gangs of a primary revenue source. Will this push them towards extinction or will it push them to more violence and recklessness in more desperate pursuits of cash? Every state has seen an increase in property crimes related to medical marijuana, as patients’ homes and automobiles become prey for criminals intent on stealing marijuana or money saved by patients to buy marijuana. Patients themselves may become victims. 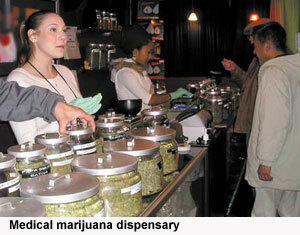 Violent crimes such as muggings increase near dispensaries. Will a legalization of marijuana lead to a decrease in such crimes? No one really knows. To date, there are no studies of the relationship between the medical marijuana trade and the black market economy in American cities. Until such analyses are undertaken, it will be difficult to evaluate fully the potential ramifications of the legalization of marijuana and other drugs in America. Reference: John Klofas and Kyle Letteney, The Social and Legal Effects of Medical Marijuana: State Legislation and Rules, Center for Public Safety Initiatives, Rochester Institute of Technology, March 2012. Not too many years ago, American cities viewed the non-profit organizations working within their municipal boundaries with suspicion and even condescension. Non-profits opened soup kitchens and homeless shelters that made economic development difficult for city administrators, for what entrepreneur wants to open a new store with homeless people milling about? And city staffs often held the capabilities of their non-profit colleagues in low regard, considering them naïve rather than realistic, dreamers not doers.